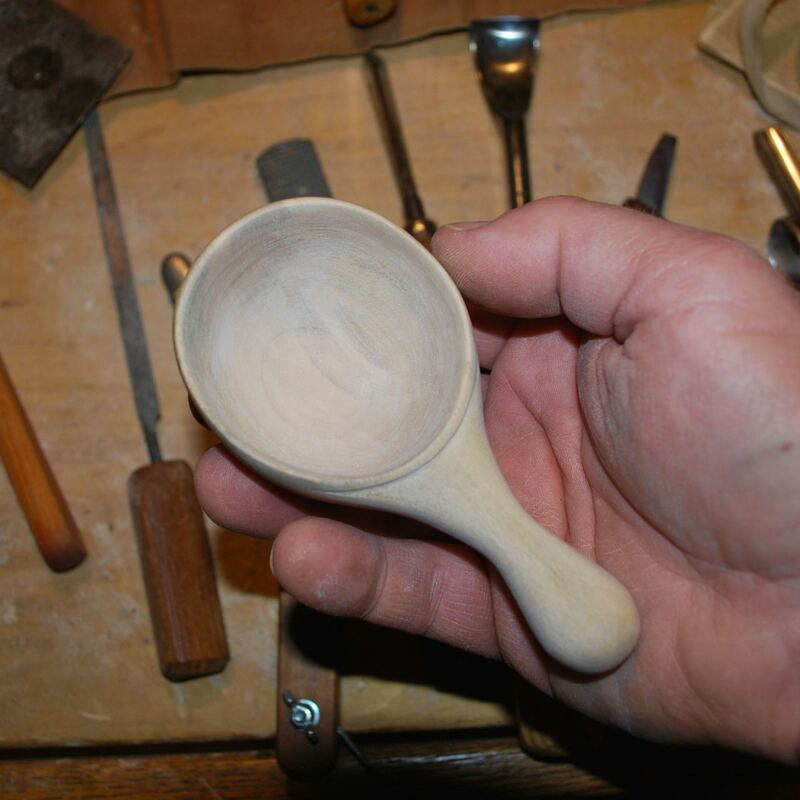 Now that I’m back to spoon carving it feels great to actually finish some decent pieces. 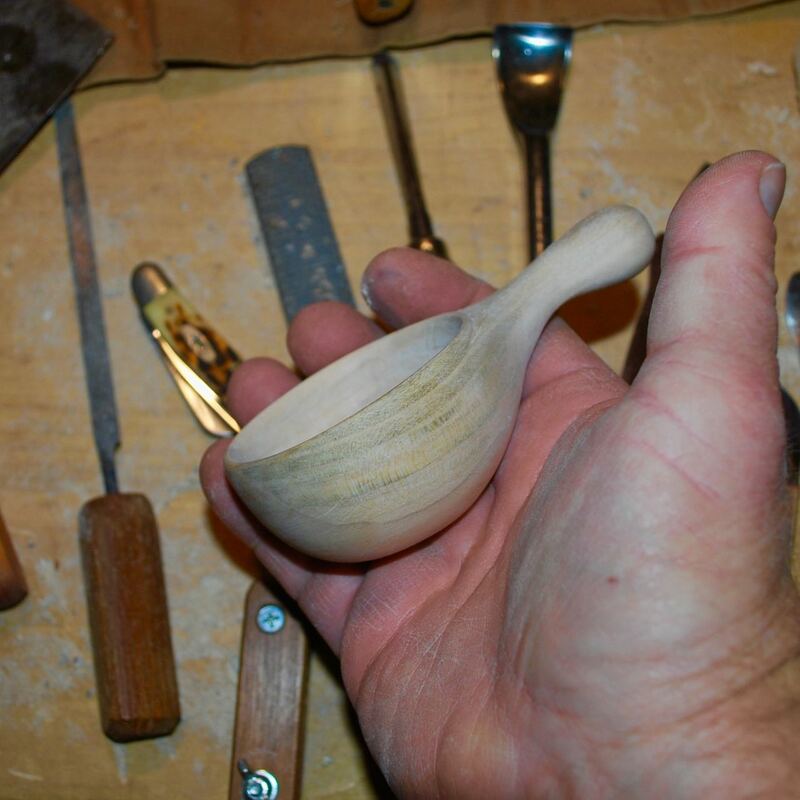 Most of the nicer wood I have on-hand is kiln-dried, making it much more difficult to work. More patience, more sharpening, and smaller cuts are necessary to accomplish a desired form. 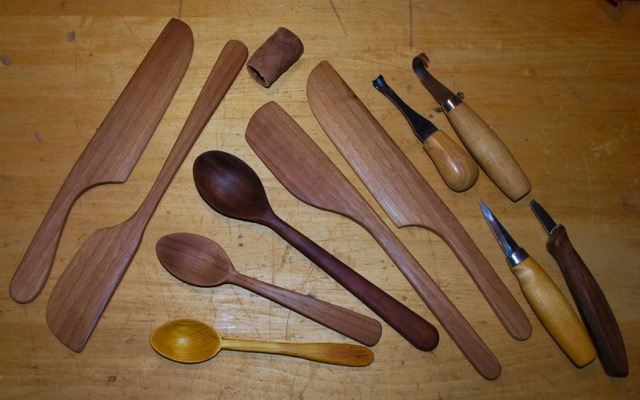 However, this weekend paid off with a few nice utensils coming out of the work room. I finished an assortment of spatulae and spoons for an upcoming craft show but I have no idea if there will be any real interest. 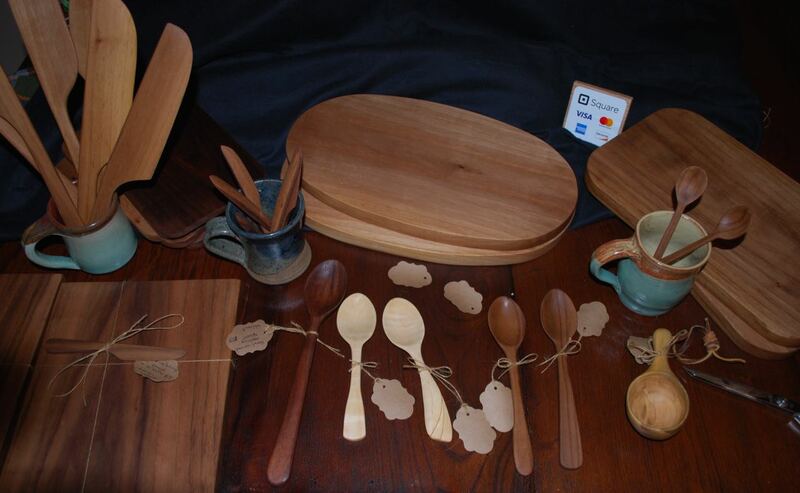 The Osage orange eating spoon at the bottom is a gift but the rest will be for sale. It is a ridiculous amount of time for the monetary return but certainly allowed me to relax and focus on the crafting and creation of each form. To me, a handmade item is far nicer and more valuable than something stamped out in a factory far away. 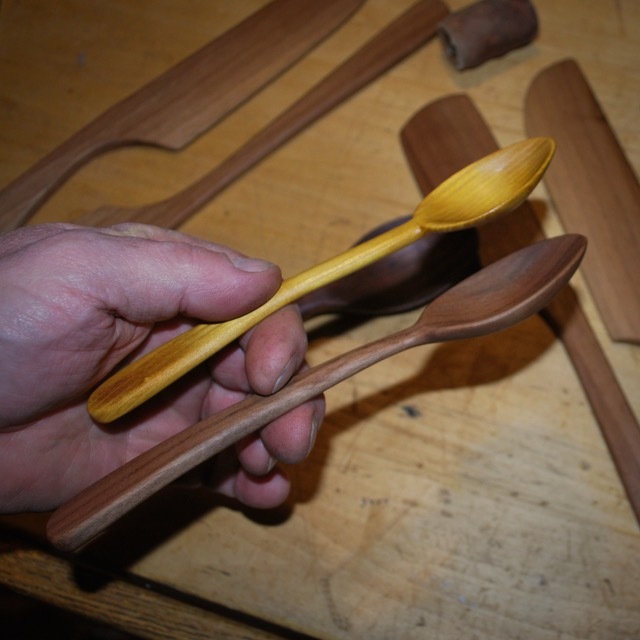 The top spoon ended up as a gift and the bottom one sold quickly. Walnut is a beautiful wood. It holds a two ounce shot of your favorite beverage with a little room to spare. A few items from my table at a recent craft show. I’m trying to keep busy in the dark and cold months. I hope you are too. Looks like you’re turning out some good stuff, real nice. Have fun at WC. Hey Jim, it seems you dropped off the web. Hope all is well up there in the GWN. Still alive-ish. Same as ever…. Nice work as always! I really like the whiskey Noggin!